Hit Balls on the Range! at Laurel Lane Country Club! GOLF COURSE OPEN FOR SEASON! OFF-SEASON GREENS FEE RATES through April 30th! Welcome to Laurel Lane ...where the Public is Always Welcome! 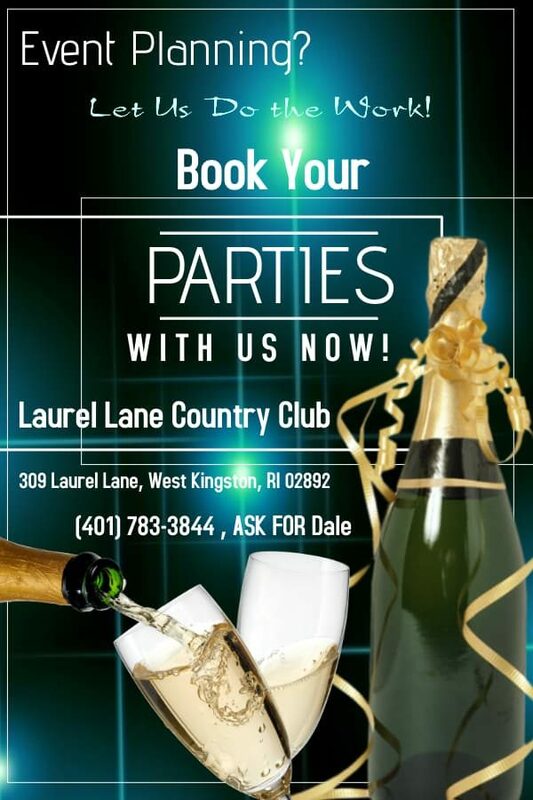 Laurel Lane Country Club is a public golf course, driving range, restaurant and bar (RUDY’s Bar & Grille and CaddyShack), pro shop, and event venue located in West Kingston, Rhode Island. Laurel Lane’s golf course is an 18 hole, par 71, 6128 yard course with relatively few bunkers, affordably priced, and is a splendid place for all skill levels to play. This beautifully maintained public golf course is located just off Route 138, four miles west of the University of Rhode Island. Players can enjoy lunch or dinner on the deck or in the sports bar equipped with several flat screen televisions and overlooking the 18th green. The course is situated in a secluded, natural setting within a borough of South Kingstown. For many years, Laurel Lane has been known as the “Gem of South County” and is a chosen venue for many successful golf outings, fundraisers, weddings, receptions, anniversary parties, birthday parties, reunions, school events, family events, business meetings, and so many more. Laurel Lane Country Club offers many different Golf Memberships that provide benefits to our golfers that play frequently. We are host to junior, men’s and women’s golf leagues and offer golf clinics and junior golf leagues in the summer months. 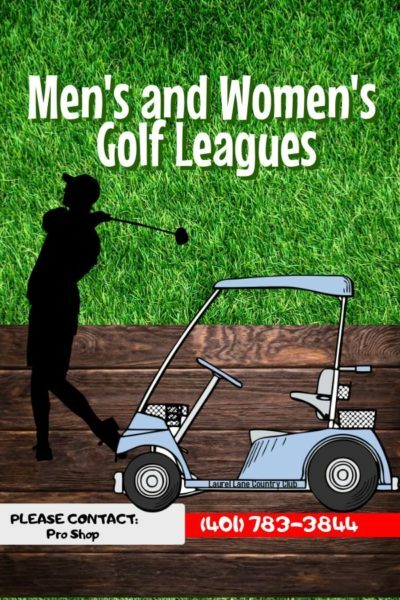 Join our Friday Night Couple’s League and Thursday Night Men’s League. Come meet new people and experience what so many enjoy! of Laurel Lane. Send Gift Cards to your friends and loved ones!